Starring Jose Ferrer, directed by Michael Gordon, produced by Stanley Kramer. 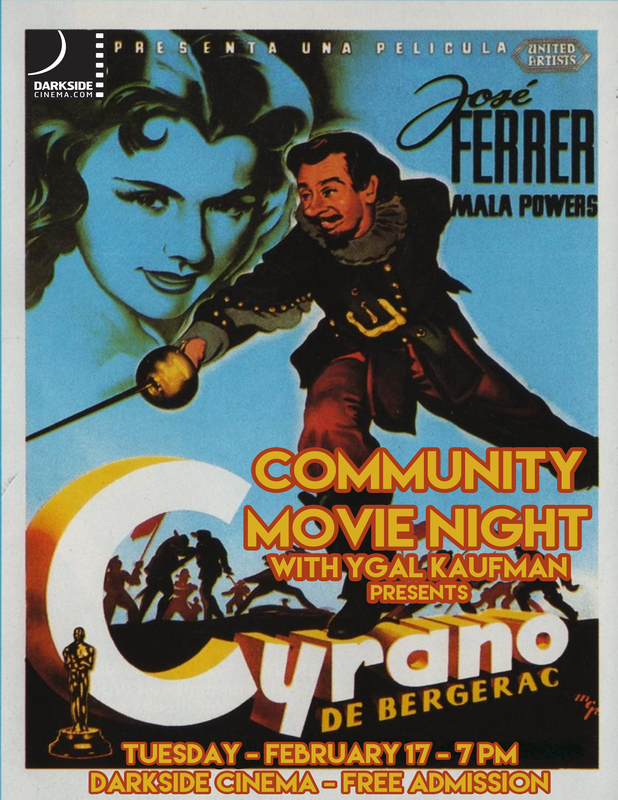 This is the production that won Jose Ferrer his Oscar for his unforgettable turn as the real life duelist/poet, Cyrano De Bergerac. An unstoppably witty raconteur with penchant for fighting, Cyrano uses his talent for language to woo Roxane, his love, but not for himself, for his rival. Sporting a prosthetic nose that would make Adrien Brody blush, Ferrer owns every inch of the screen with his fiery and legendary performance. The role of Cyrano has been played on screen by no less than the likes of Sir Derek Jacobi, Steve Martin, Kevin Kline, Placido Domingo, Klaus Maria Brandauer, Christopher Plummer and Gerard Depardieu, and still to this day, nobody challenges the assertion that Ferrer did it best. Join us for this free spirited romantic drama that has adventure spilling from the seams.